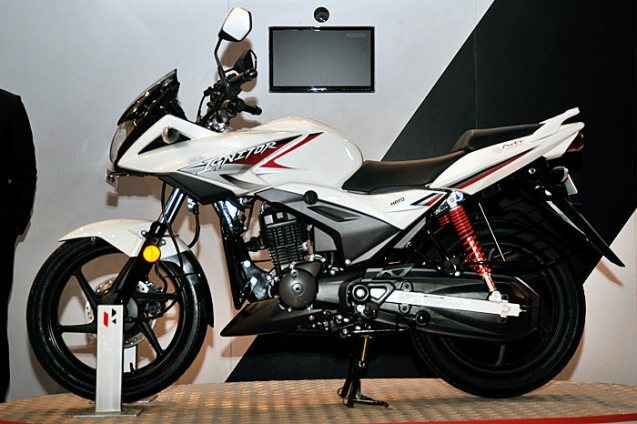 Hero Ignitor is 125cc Bike from Hero Moto Corp which looks similar to Honda Stunner was revealed at Auto Expo 2012. 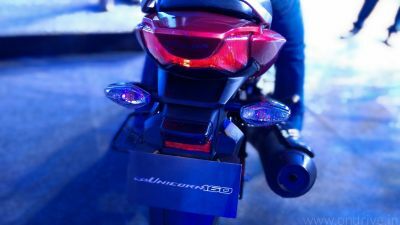 The new Hero Ignitor is powered by a 125cc ATFT(Advance Tumble Flow Induction Technology) single cylinder engine that provides a maximum of 11PS power at 8800 RPM. It has 5-speed gear box which give max Torque of 11Nm at 5000 rpm. When it comes to design, the Hero Ignitor having digital speed panel and an analog RPM meter provide a neat and stylish looks. Digital meter console somewhat resembles like the console of Hero Honda HUNK. The bikes comes 5 spoke alloy wheels and tubeless tyres which increase safety. The bike is 2101mm Long, 755mm wide and 1115mm wider. It weighs 129kg and has 9L fuel tank capacity. Ignitor has large wheel base of 1280mm with 175mm ground clearance. The bike gives you the mileage of 60 kmpl which is not bad at all. The Hero Ignitor will available in three different variants: Kick Start, Self Start and Disc/Drum Brakes, and four different colors: Orange, Black, White and Blue. This is my new byke…..Awesome to ride…….Very comfort…..When i am on road,, all eyes on me.. Enjoyit…..
Nice bike i like it.